Let me preface this by saying I’ve been a fan of Disney (the films and the characters) since I can remember. The Lion King & Mulan are two of my favourites… But I had never had the opportunity to go to a Disney park as an adult, and the two times I visited as a kid, I was pretty young – it’s all a blur (+ it was before digital cameras were a proper “thing” so I can’t easily recap – jeez, really showing my age now aren’t I?). The never visiting since being a “grown up” thing changed when I was invited to one of my gorgeous friends weddings on Disney’s private island ‘Castaway Cay’ in the Bahamas on Valentines Day 2018 – accessible by doing the Disney Dream Cruise (and yep it was just as magical as it sounds, but more on that another time!). So with the wedding in mind, my friends and I planned a whole Disney trip around it, making sure that we were able to spend a day at each of the 4 parks in Orlando, Florida: Magic Kingdom, Animal Kingdom, Hollywood Studios, and Epcot. It’s been years since I took a long haul flight, or even had a holiday lasting two weeks, but thanks to some very organised friends it all went pretty smoothly, including all the hotel hopping that we did! I’m gunna be straight with you though, without them I’m not sure I would have managed organising something quite so well. Luckily for people like me, there are some fab websites that are simple to use and help with planning and booking trips abroad like this, such as Destination2 – who you can source flights + hotels through, or just hotels if your flights are sorted elsewhere. After getting over the initial “won’t people think I’m weird being here as a grown up without any children?” thoughts, and letting myself actually be excited, I was full of Adrenalin and pretty much unstoppable. Armed with the Disney app (which I can’t recommend enough), and prepared with dining reservations & fast passes that we booked in advance, we had jam packed days in each of the parks. 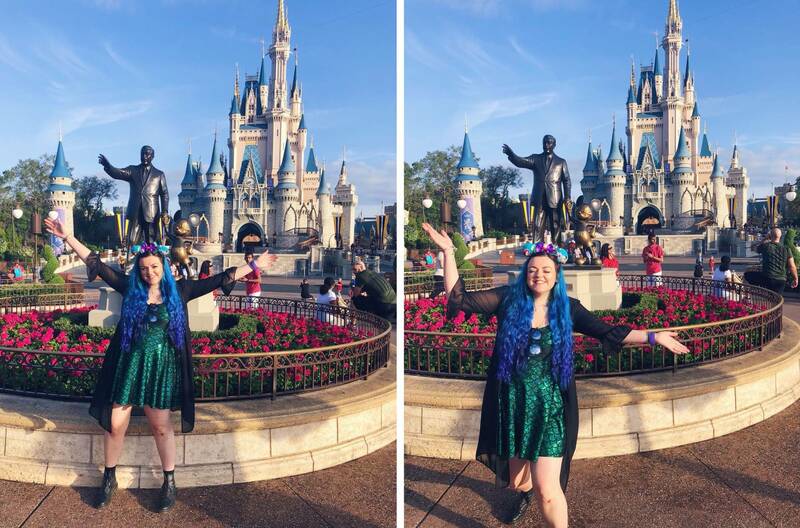 I was so happy it worked out that we visited Magic Kingdom first – starting our Disney holiday in front of that beautiful castle was perfection. And with our extra magic hour in the morning (because we stayed in a Disney hotel) we got some perfect shots in front of the castle. To be quite frank about it, no one is paying attention to the other visitors, when there’s castles, rides, parades, and fireworks to be seen, no one takes a second glance at you (unless you’re dressed especially Disney ie. me in my mermaid dress…)! 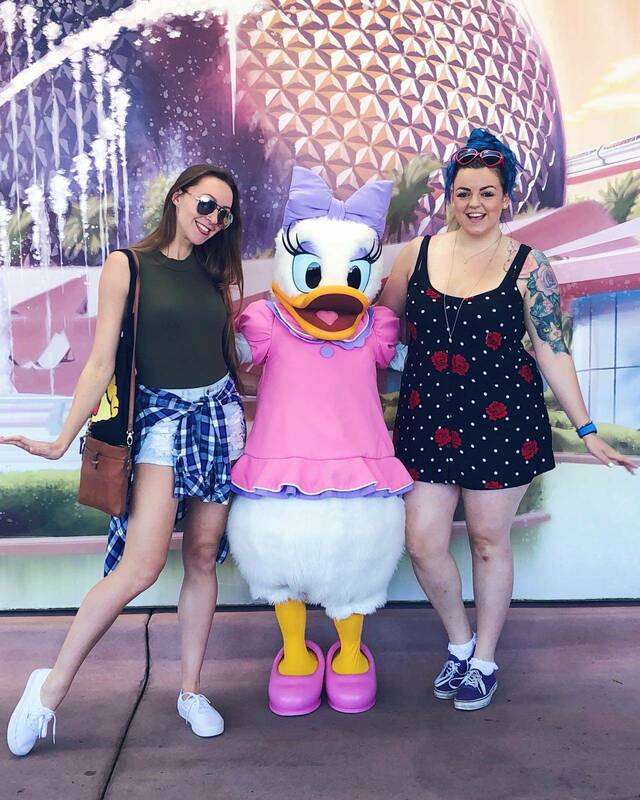 If you’re visiting Disney World as an Adult, you’re so much more free to see and do the things you want, on your own time, and if you’re not feeling up for it, you know what? You can sit in the sun and enjoy a cocktail instead. As a very pasty European I hugely appreciated having regular time outs in the shade (especially on the day we went to Epcot, it was unbelievably hot!). I just want to stress I am in no way anti-children, and if you’re not a fan of kids, Disney is not the right place for you to visit in my opinion – because of course, they were everywhere. I think part of what made it so amazing was seeing little ones dressed as their favourite characters, and some of them actually being lucky enough to meet their idols too. There’s something completely adorable about walking through Magic Kingdom and seeing lots of miniature princesses walking around. I’ll finish this by saying the three girls I went with certainly enhanced the trip HUGELY for me, both with the organisation and prep prior to the trip, and whilst we were out there. Having a girl gang you can have fun with, but you’re also comfortable with doing your own thing away from, really helps. Sure we clashed on occasion once or twice (and who wouldn’t when you spend 2 weeks living out of suitcase in hotel rooms in close proximity), but you’ll soon forget about all of that when you’re having loads of fun! 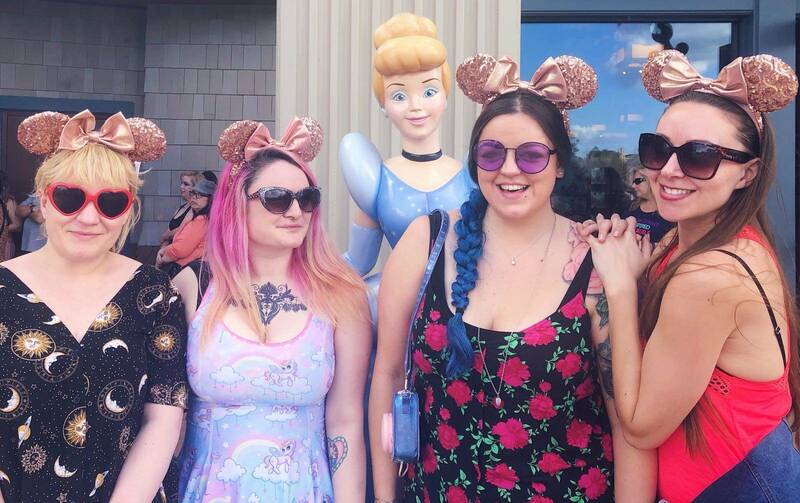 I hope if you’re reading this and you’ve been on the fence, this has inspired you to take a trip there and visit Disney as an adult and not feel that you would be out of place without children with you. It really is a place for all generations, there is so much to keep you occupied – and once you’re there fully embracing the excitement and your inner big kid, don’t be afraid to go on the rides, queue up for a photo with your favourite character, or take as many touristy photos as you want. If you’re even a little bit partial to some Disney magic I can assure you, that being there will be absolutely wonderful. If you read my My 2018 Holiday Plans blog you’ll know I’m off to Disneyland Paris at the end of June for their Electroland festival and I cannot wait. 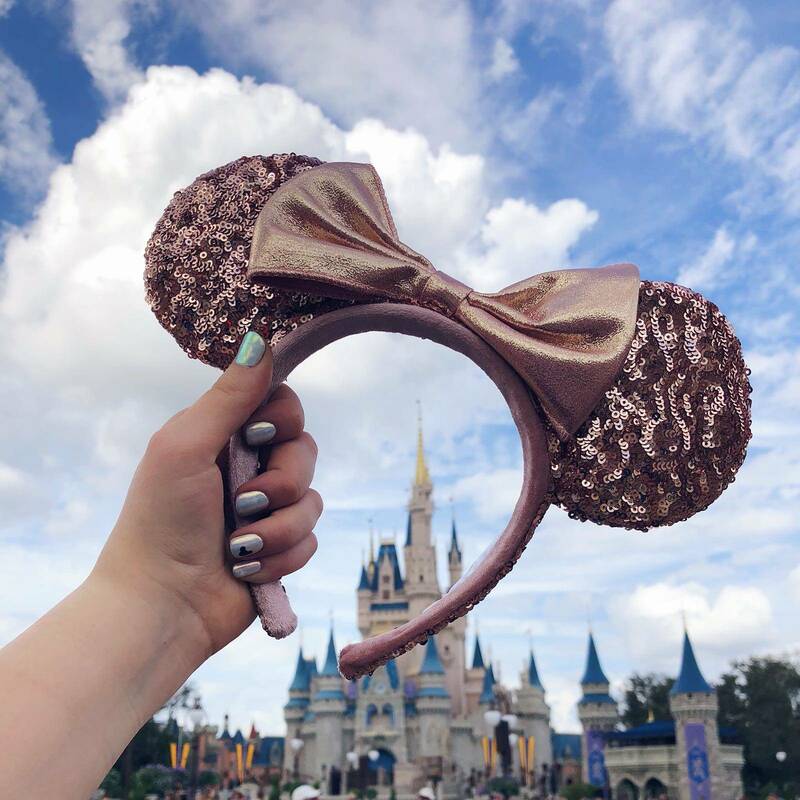 I am SO ready to live in sequinned Disney ears for 3 days. 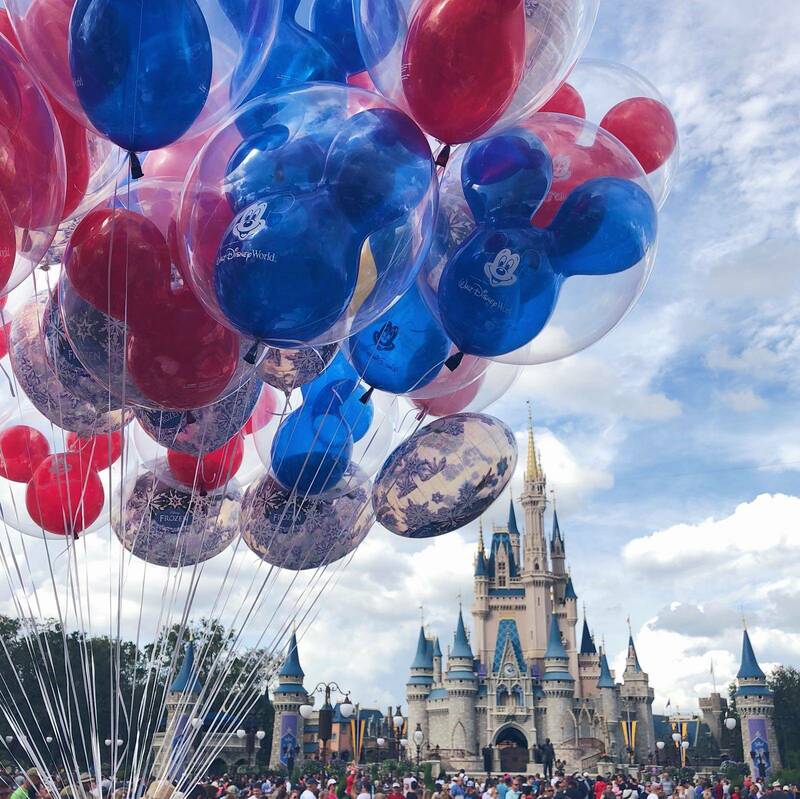 Psst – I also have some other posts in the works including 5 things you cannot miss at Disney World, and an honest itinerary and cost breakdown of the whole trip I went on in February; with dates, prices, links and tips! Hopefully when I have the time to write it up – it will be useful to some. If this is something you would like to read, please let me know in the comments or on social media!